Catalog Page 6. 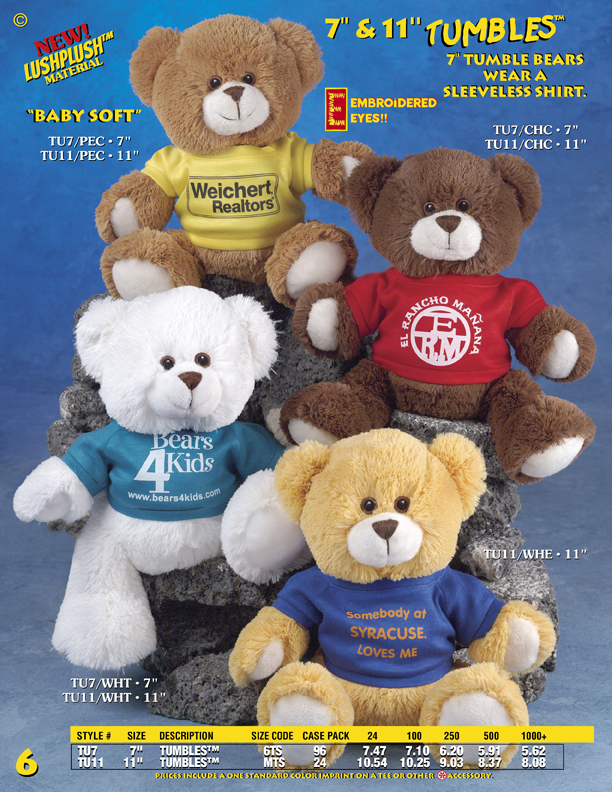 Order 7" and 11" Tumbles Teddy Bears with T-Shirts and soft fur. 7" and 11" Tumbles Teddy Bears with T-Shirts and soft fur. Order teddy bears for your sorority or fraternity. Teddy bears with schools logos and school mascots. These bears have embroidered eyes. In addition to Tumbles Bears, we also offer Tumbles Dogs on Page 7. The pricing above includes the t-shirt with a one-color imprint.